Blackberry has come a long way in the mobile industry. But because of the emergence of the Apple’s iPhone and Samsung’s Android powered devices, the market share of their products has reduced dramatically. But Blackberry’s not about to give up, as its latest flagship, the Z10, is dead set against proving to the industry that they can still be a tough competition to everyone else. If you are planning on getting this phone, here are the things you need to know about the new Blackberry Z10. 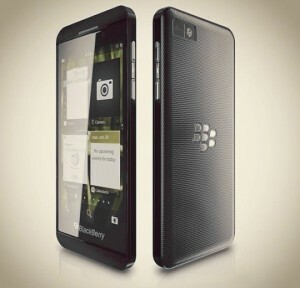 Blackberry Z10 has a lot features that would make them stand out in the mobile industry. One such is the Blackberry Hub, where your messages and other social networking communications are integrated to provide seamless interaction with them. Your contacts from your Messenger, email and phone are all neatly populated on your address book. You can also have video conversations with your BBM, either from a live feed or face-to-face conversation. The time shift mode is also a plus for Blackberry fans, where you can adjust wrong-timed photos to backwards to get the shot you missed. It may be far from perfect, but the new Blackberry Z10 gives more than what the fans have been craving for. To start off, it has 16GB internal storage with expandable memory. The Z10 sports a 4.2 inch touch display, with up to 1280×768-resolution and 1080p HD video recording. It also sports the new Blackberry 10 operating system, which readily competes with its rivals. The new OS is dominated by gestures, a feature that’s unique in the industry. What it does is that it makes you control what you do with the device with the need of pressing UI buttons. Although this may take a while to learn, this will enhance the usage of the device. 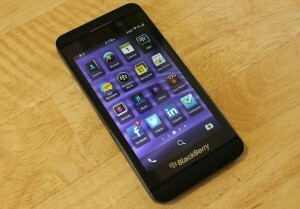 The phone itself is a step-up to the pas Blackberry models in terms of design and performance. Its dimensions are a bit larger compared to the iPhone, but it weighs perfectly in relation to its size. The iconic physical keyboard is now replaced with a better on-screen keyboard with the intuitive gestures feature. It is also built with a Dual Core 1.5 GHz processor, 2GB RAM and USB 2.0 high speed port. It also has a 1800mAH removable battery with up to 12 hours talk time. The camera is a moderate 8MP auto-focus at the rear and 2MP front camera. BLACKBERRY OFFICIALLY ANNOUNCES THE Z10: IS THIS THE BLACKBERRY YOU’VE BEEN WAITING FOR? All in all, the new Blackberry Z10 will make the ‘crackberry’ fans pee their pants with excitement. New users of the Z10 will find it to be vastly different with the more popular iOS and Android powered phones, and its unique features will make this phone a benchmark for the future of the company.